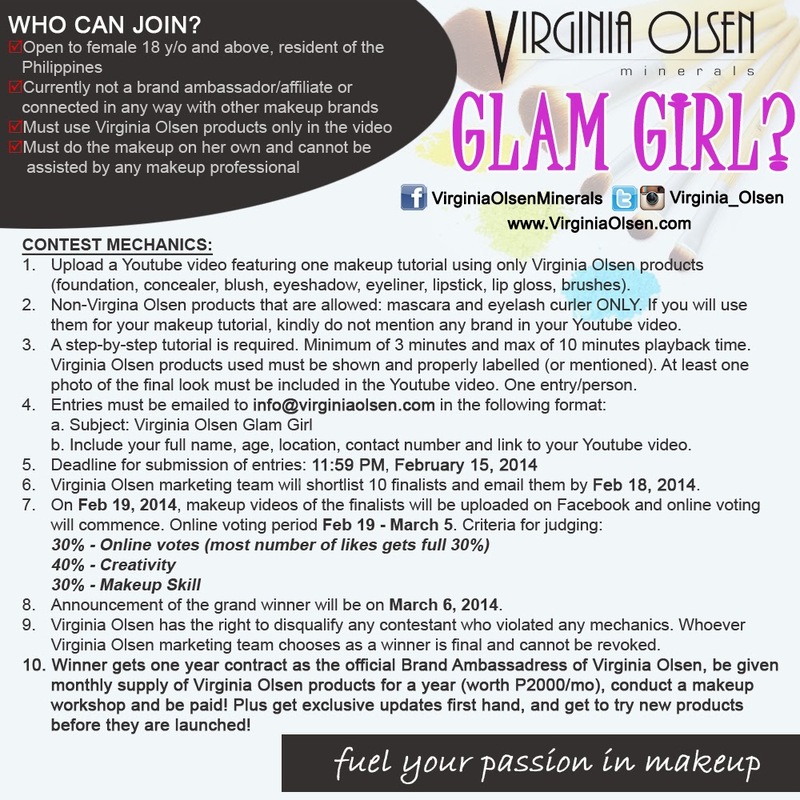 The Search for Virginia Olsen Glam Girl is ON! Hello dearies! Do you have what it takes to be the next Virginia Olsen Brand Ambassador?Then here's your chance to be part of the Virginia Olsen team. 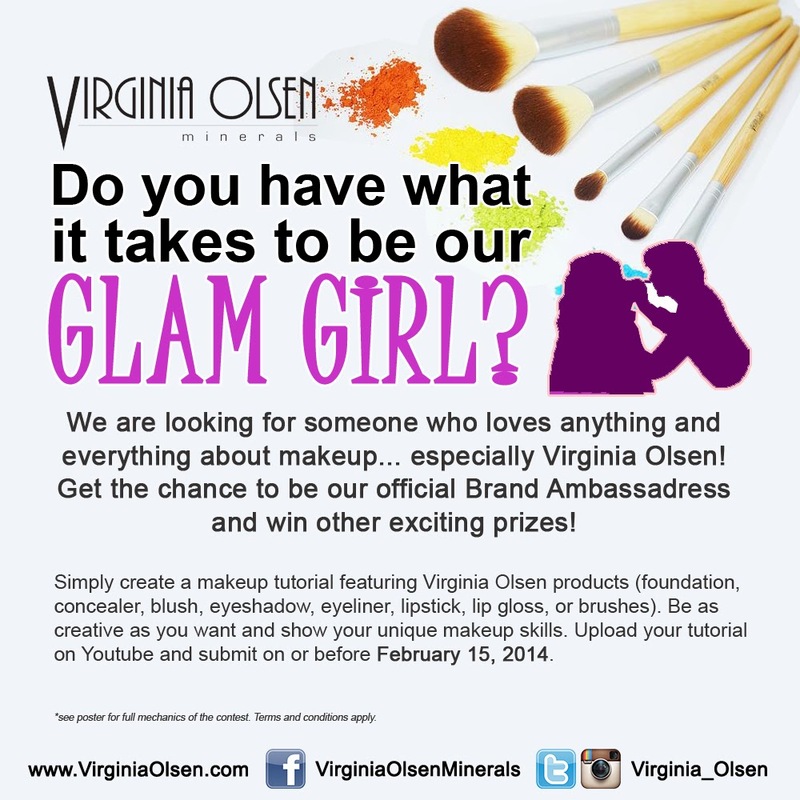 They're looking for their very own Virginia Olsen GLAM GIRL!!! Are you a budding makeup artist? Want your talent and skills be known to the whole wide (web) world? Love creating makeup tutorials and beautifying yourself and others? Then you are exactly what they're looking for! @Czjai Reyes- Ocampo- yup, kaya join ka na dear :) I know, you can be one! @Leilani Gamboa- ganun ba? Hope you could try one. Good luck to them also :) Will you join? Hehehe! dami ng prize,. nakaka-tempt sumali kaya lang wala akong confidence sa ganyan,. maishare ko nga sa mga kakilala ko na malalakas ang loob,. @Sheryl An Mungcal- yup, dami prizes. Please spread the word to your friends :) Thank you so much!